Barracks Lane Community Garden is a community-run green space off the Cowley Road in Cowley/East Oxford. The garden is open for visitors to drop-in during weekends and regularly holds free events and workshops. With a range of facilities including a meeting space, tandoor and cob ovens, and a wheelchair accessible compost toilet, the garden is also a popular venue for locals to hold parties, meetings, workshops, and other community events. For a donation, which helps with the upkeep and running costs of the garden, you can book the garden for your events and workshops. The garden is a registered charity managed by the local community. Barracks Lane was a dilapidated disused garage site owned by Oxford City Council. The ground was toxic, the site filled with dangerous waste. The site was a target for anti-social behaviour and tragically there was a death on site from drugs and alcohol overdose. 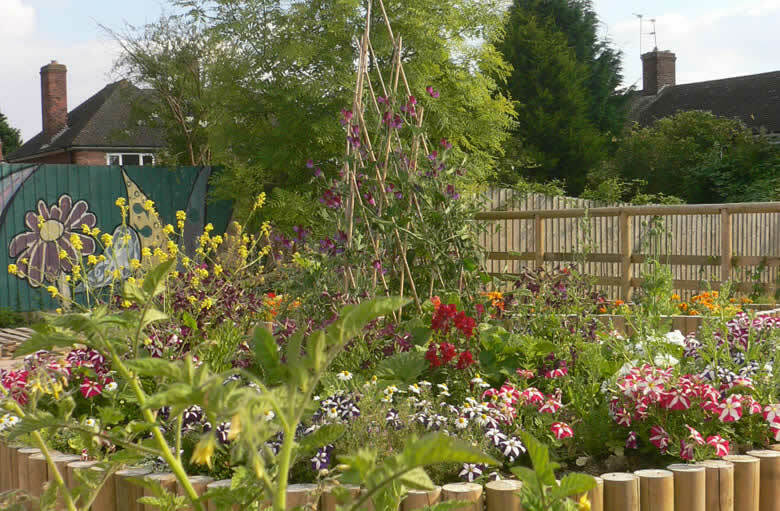 In 2003 local people had an idea to create a community garden supported by the area committee. They formed a constituted group and later became a registered charity. It took 4 more years, lots of obstacles, challenges, fundraising and paperwork to get permission and a lease agreed. The garden opened to the public in April 2007, less than 6 months after the lease had been signed. The garden had over 2000 visitors in the first 6 months and even more the following year. Gardeners, artists local volunteers continue to offer their time and efforts to make the garden beautiful and green, to and develop community activities on the site. © Oxford Permaculture Group under Creative Commons Attribution-NonCommercial 3.0 Unported (CC BY-NC 3.0) unless otherwise stated. Site created by oxguin.net and webhosting by ox4.org using Drupal.